In the vein of The DARK KNIGHT RETURNS, this is RoboCop’s final chapter, as envisioned by Frank Miller. 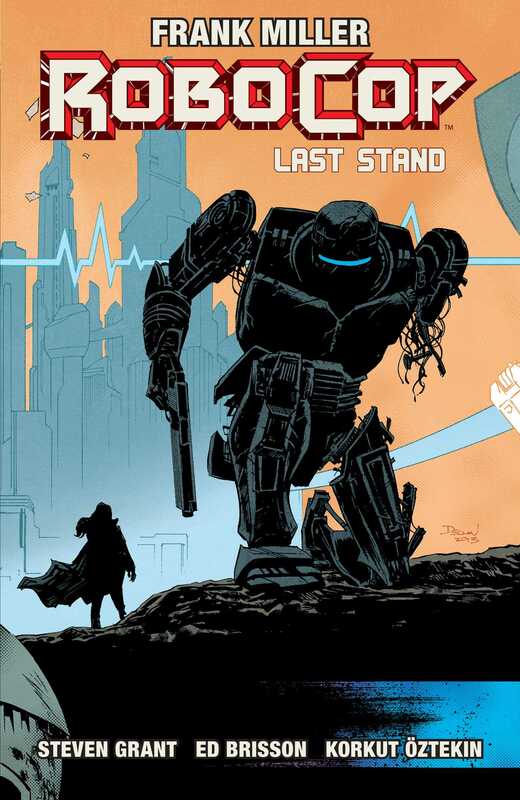 The unfiltered imagination of Frank Miller comes to life in the pages of LAST STAND, an exact adaptation of his original screenplay for RoboCop 3. A worthy companion to the all-time classic, full of all the action, blood, and ahead-of-its-time vision you have come to expect from Frank Miller’s best works. The war between RoboCop and OCP is raging, as the hostile takeover of Detroit is in its final hour. Cadillac Heights is the last remaining piece to OCP’s endgame, but with RoboCop and Marie in their way, no one is safe and everyone is a target. Many will die. Few will rise.